If you’ve been following me for a while, you’ll know that 2012 was all about the weight loss, and that a big part of that was taking up running. 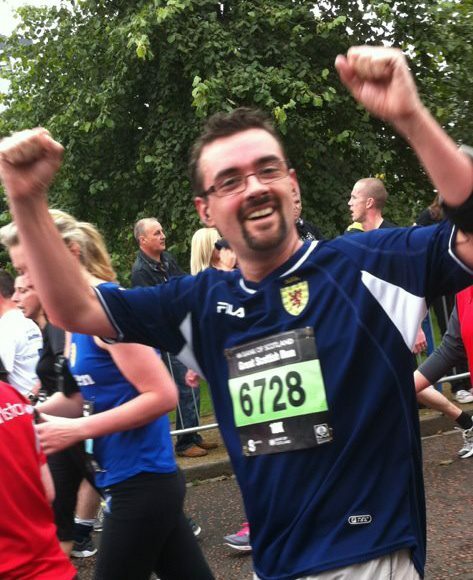 I ran my first 10k race last September’s Great Scottish Run, and thoroughly enjoyable it was too. Unfortunately a muscle strain at the end of October forced me to take some time off, and then Christmas happened, and then it’s not been the weather, and… well, suffice to say I’ve not chalked up as many miles this year as I’d have liked, although thankfully I’ve kept off the pounds I shed in 2012. What I found last year was that the very act of entering a race was a great way to keep running. Having something to aim for kept me focused, and got me out on the pavements on many occasions where it would have been much easier not to bother. 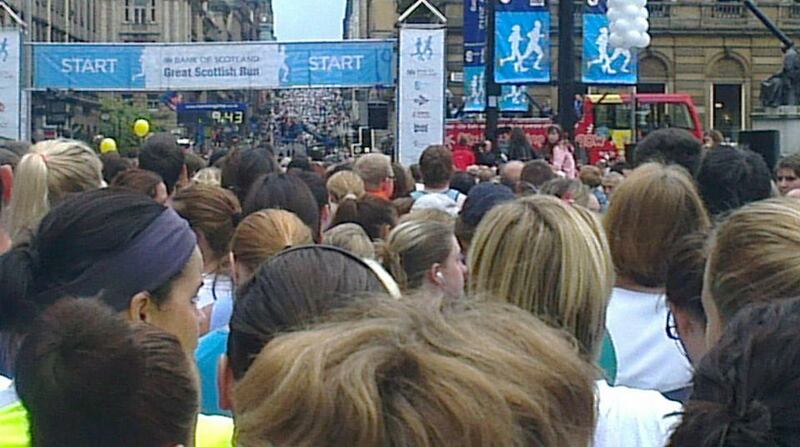 With this in mind, I’m pleased to say that I’ve now signed up for my first race of 2013, the Edinburgh Marathon Festival 10k. Not only that, but I’ll not just be running for myself this time, I’ll be raising money for a very worthy cause, the MS Society, at the same time. A few people asked me last year if I was running for anyone, but it wasn’t something I had really thought about. And by the time I did think about it, it seemed too late to get anything organised. “Next time” I said to myself, although I had no idea who or what I might like to run for. That changed a few months ago, when Andrew, husband of one of Gemma’s best friends and a good friend in his own right, was diagnosed with Multiple Sclerosis. 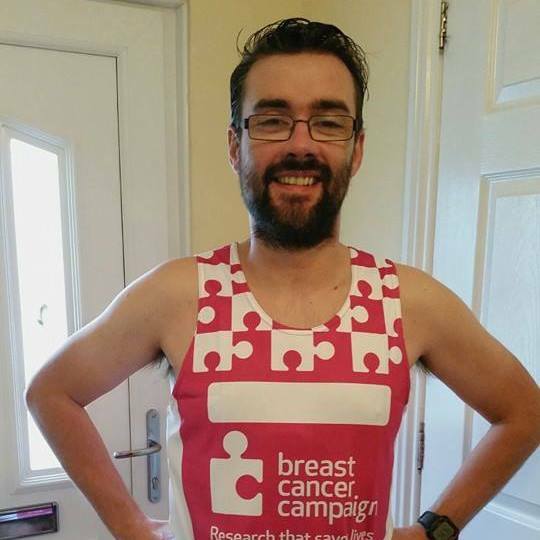 Andrew is also a runner, and has run for many a cause in recent years. He was also very supportive of me when I started running last year, offering advice and encouragement whenever it was needed. 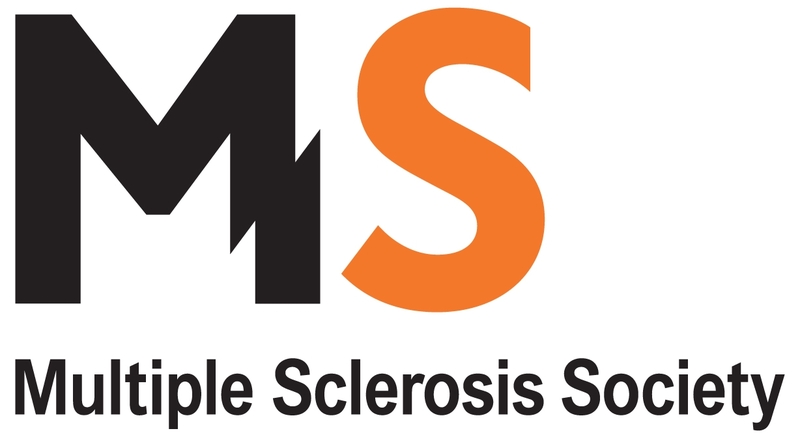 So it seemed very fitting that I should run on behalf of the MS Society, the UK’s leading MS charity. They fund research into the condition as well as providing support and information about it, and have been doing so since 1953. MS is currently incurable, so this work is really important, and I’m more than happy to do my bit. 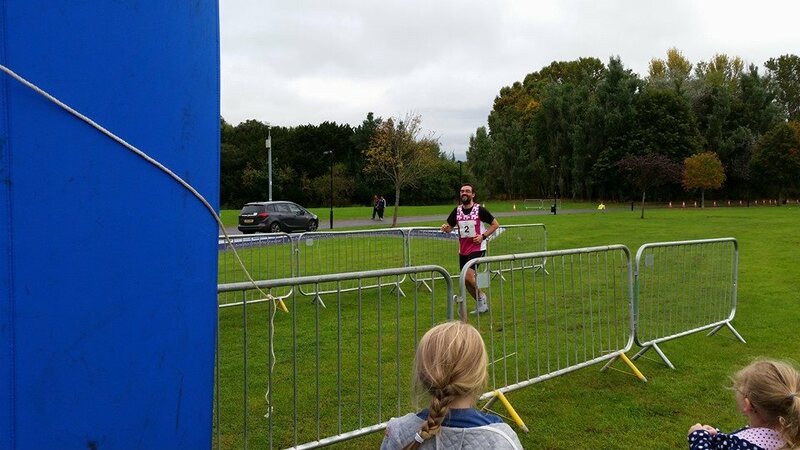 And you can do your bit too, by sponsoring me for my run, which you can do by visiting my Just Giving page. Go on, you know I want to. I have no idea how much I’ll be able to raise, so it was difficult to set a target. 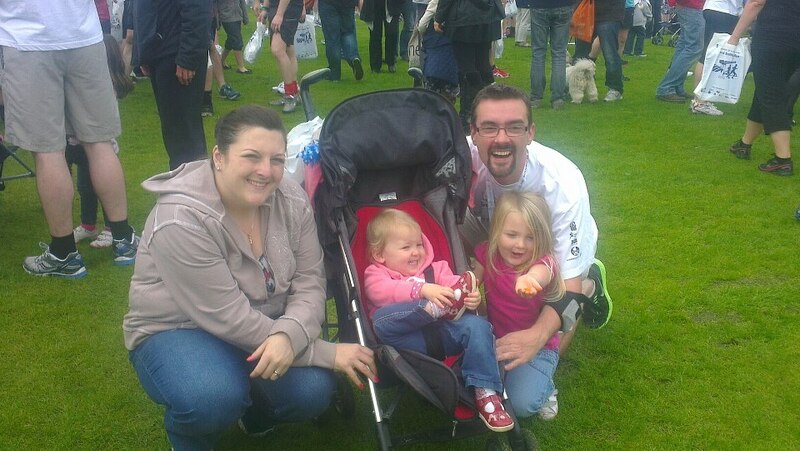 I’ve gone for £150, and although it would be great to beat that, I know that anything I raise will be worthwhile. 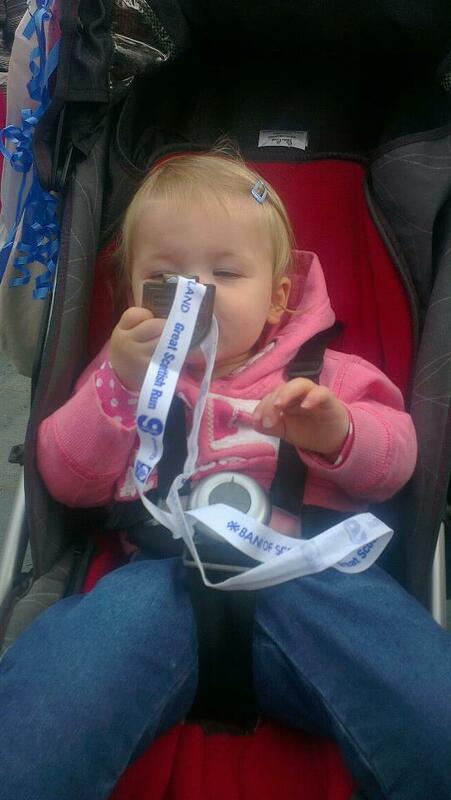 But with five weeks until race day, that’s only £30 per week, and put like that I think £150 is definitely reachable. Now, if you’ll excuse me, I’ve got some running to do. Oh, and if you’re following me on Twitter, or friends with me on Facebook, rest assured this won’t be the last you’ve heard about this! In case you missed the link above, you can sponsor me at my Just Giving page. And if you pay tax in the UK, please make sure to tick the Gift Aid box, meaning even more money goes to the MS Society. Thanks in advance!